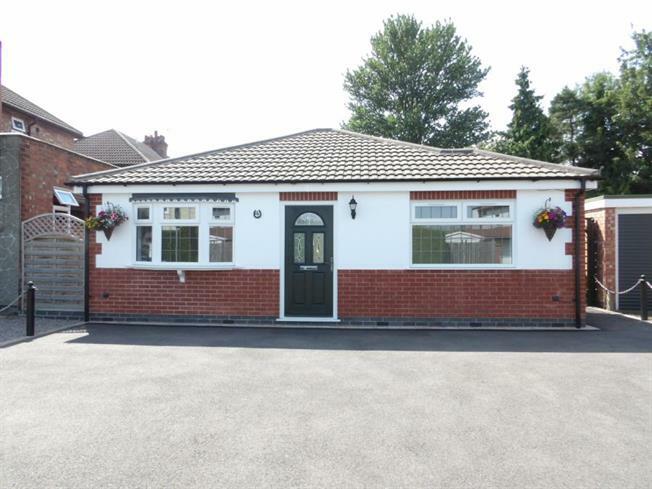 2 Bedroom Detached Bungalow For Sale in Leicester for Offers in the region of £200,000. Really appreciated your help throughout our buying process. Spencers are pleased to present this spacious newly built two bedroom bungalow. With ample off road parking and a low maintenance enclosed rear garden. In brief the property comprises of entrance hall, two double bedrooms, shower room, modern fitted kitchen and spacious living room with double patio doors leading to the rear garden. Double glazed uPVC window facing the front. Radiator, painted plaster ceiling, ceiling light. Double glazed uPVC window with obscure glass facing the side. Heated towel rail, tiled flooring, part tiled walls, painted plaster ceiling, ceiling light. Standard WC, single enclosure shower and corner shower, wash hand basin. UPVC back double glazed door, opening onto the garden. Double glazed uPVC window facing the rear overlooking the garden. Radiator, tiled flooring, part tiled walls, painted plaster ceiling, ceiling light. Roll edge work surface, fitted wall and base units, stainless steel sink, integrated oven, gas hob, over hob extractor, space for dishwasher. UPVC patio and back double glazed door opening onto the garden. Double aspect double glazed uPVC windows facing the rear overlooking the garden. Radiator, painted plaster ceiling, ceiling light. Double glazed uPVC bay window facing the front. Radiator, painted plaster ceiling, ceiling light.